Soap is the chemical compound which results when oil or fat reacts with alkali (usually caustic soda). Throughout modern history soap has been a necessity for hygiene and cleanliness in developed societies. It also found application in medicine and pharmacology, due to its healing and antiseptic properties. 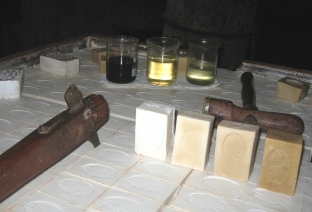 The quality of traditional soap depended not only on the maker’s skill, but also on the suitability of the oil. 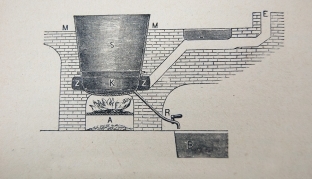 The soap made from oils derived from olives was highly prized and sought after. 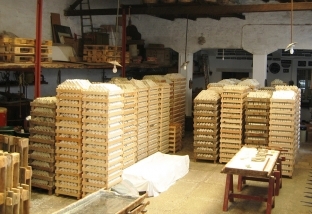 Therefore, most of the early soap manufacture developed around the olive producing regions of the Mediterranean. Synthetic detergents (washing powder, shampoo, liquid soap etc), developed in recent years, offered practicality and created good impressions, being cheaper and easier to manufacture. Consequently, traditional soap was displaced. However, an important factor was overlooked: the negative long term effects of the new chemical ingredients on human health and the environment. Today, we know that many of these chemicals are harmful and consumers are increasingly looking for pure natural cleansing products. To this need the existing traditional soap manufacture is able to respond by offering pure soap made of selected natural oils. It is widely accepted that this is the most suitable skin cleanser since it clears the skin’s pores by effectively removing dirt, oily substances and dead cells.